Daily weekday air cargo options are available to have your freight in the air and on its way. Cargo coming into the U.S.
By offering great rates and providing stellar service we assist our customers with international vehicle relocation. Deluxe Freight’s fully equipped to handle & store your cargo. Since our inception in 1996, Deluxe Freight had a vision: to provide the highest quality of customer service to its customers. 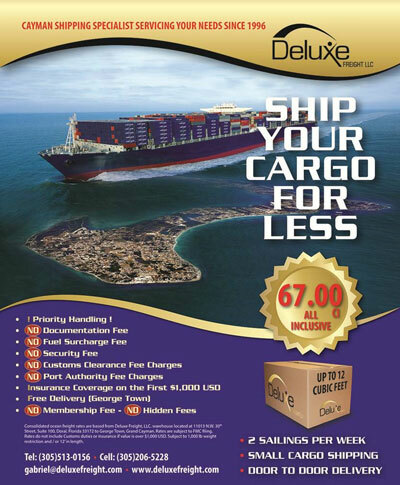 With over 20 years of logistics experience, Deluxe Freight provides their exclusive service to the Cayman Islands with reliable, effective, and convenient transportation solutions. Whether it’s by Ocean, Air, or Land, the objective has always been to provide the customer with a complete line of service options in which their cargo can be handled. Upon opening its doors, the commitment has always been simple; exceed all of our clients expectations with exceptional service. Our business model was born out of a unique platform, to bring together a full logistics service provider to the Cayman Islands. We take pride in assuring thousands of clients they will not have to worry about coordinating any of their transportation needs. You simply notify one of our team members and we can take care of the rest. Our organization has embarked in the mission of building a one of a kind Freight Forwarder with a sole purpose in mind, our customers satisfaction. Strategically located in Miami Florida, Deluxe Freight has quickly become one of the most highly regarded, independent freight forwarding/warehousing company in the southeast United States. 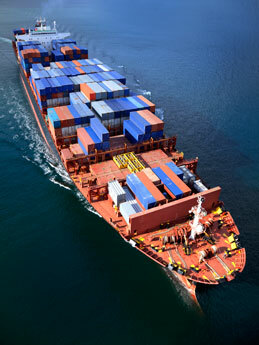 Our staff can fulfill all your transportation needs whether by ocean, air or ground, we are fully equipped to offer you an unparalleled shipping experience. Deluxe Freights stellar reputation of being the most unique and relevant Freight Forwarder has earned us the privilege of servicing thousands of customers over the years. Our clientele composition and growth has been carefully planned since day one to attract exclusively customers in the Cayman Islands. Our organization has been built under grass-root old fashion principles – creating our customer base one customer at a time. Thus, our focus has been on developing a successful enterprise based on gradual but solid growth. Our measured and discerning choices have systematically transformed our organization into a fertile ground for symbiotic and lasting relationships. We are cognizant that in order to greater meet the demands and interest of our ever growing customer base, we must not just grow but evolve by regularly adjusting staffing as well as expanding our business structure to best support our clienteles needs. Plans are currently in motion to take Deluxe to a new platform with new features and functionalities for our customers. We are excited about our organizations future and the endless possibilities that await us.